PARK CITY, UT (January 28, 2019) — The Independent Filmmaker Project (“IFP”), the nation’s oldest and largest U.S.-based non-profit dedicated to supporting the future of independent filmmaking and storytelling, is teaming up with The Blackhouse Foundation, a leading non-profit organization that works to expand opportunities for black multi-platform content creators, to launch the IFP-Blackhouse Multicultural Producers Lab, sponsored by HBO Corporate Social Responsibility Department, beginning in January 2019. Brickson Diamond, co-founder of Blackhouse, made the announcement tonight at The Blackhouse Foundation’s Opening Night Party at the 2019 Sundance Film Festival. The partnership brings together IFP’s track record of developing creative talent with The Blackhouse Foundation’s success in bringing diversity to festivals like Sundance with increased access to and for exceptional writers, directors, and producers. 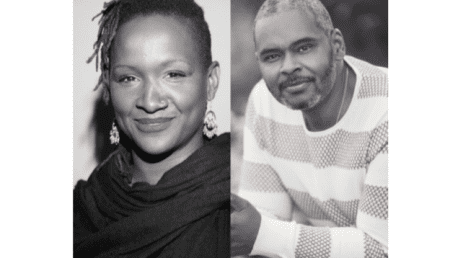 A cohort of seven (7) producers of innovative fiction and nonfiction projects (film, television, and digital media) were selected by IFP, Blackhouse, and HBO. These Fellows will participate in this year-long, collaborative program to expand the number of multicultural production companies; to increase their pipeline of content; and to support the sustainability of mid-career independent producers and the scale at which their projects and businesses operate. The first cohort of participating producers are all women, signaling all of the partner organizations’ focus on supporting female filmmakers. The Fellows are Quan Lateef, Kiara Jones, JaSaun Buckner, Roche Jeffrey, Chanelle Aponte Pearson, HaJ House, and Dahéli Hall. The Lab Leaders, who are committed to guiding their progress throughout the Lab, are award-winning film, TV and digital producer Effie Brown and award-winning film and stage producer Ron Simons. The selected Fellows will take part in a series of intensive programs and workshops throughout the year, both at the “Made in NY” Media Center by IFP in New York and at HBO headquarters in Los Angeles. The program will culminate at IFP’s signature program, IFP Week 2019. “As a producer, I was immediately excited about the prospect and power of surrounding producers with the tools they need to succeed and scale up. Our industry takes for granted that multicultural producers have equal access to financing, agents, and studio executives. My hope is that this program will be an industry game changer – the talent is there, with this program we are providing access to the gatekeepers, relationships and tools,” said Dennis Williams, SVP of Corporate Social Responsibility & Corporate Affairs at HBO. Following the inaugural IFP-Blackhouse Multicultural Producers Lab cohort, the initiative will accept open submission for its second year in 2020. • Effie Brown is an award winning film and television Producer, known for championing inclusion and diversity in Hollywood, both behind and in front of the camera. Through her company, Duly Noted Inc., Brown has produced several critically acclaimed and award winning projects including Stranger Inside, Jane Campion’s In the Cut, Real Women Have Curves, Everyday People, Rocket Science and the Sundance hit Dear White People. • Ron Simons is a four-time Tony Award-winning producer, four-time Sundance Film Festival selected producer and actor of stage, film and television. He is the Founder and CEO of SimonSays Entertainment. Simons recently won his 4th Tony Award for the August Wilson hit Broadway show Jitney, under the category “Best Revival of a Play,” making him the highest African-American Tony Award winning producers of all time, and cementing him as the leading Broadway producer working today bringing diversity to the stage. • Quan Lateef has worked with national and independent production companies including Discovery Communications, PBS, Bravo TV, and Viacom Networks. Currently, Quan is producing and directing content and executive producing the AFROPUNK SOLUTION SESSIONS series. • Kiara Jones has produced 20 features and shorts, including Premature (Sundance 2019), The Roe Effect (HBO Short Film Winner), and She’s Lost Control (winner Berlin Best New Feature and Independent Spirit Awards Nomination Best New Feature). • JaSaun Buckner has produced content for MTV, Spotify, Vevo, HAVAS, and Omnicom. She established the creative direction for documentary acquisitions and in-house production for OWN’s Doc Club and is the creative executive managing a current Nickelodeon series. • Rochée Jeffrey is a 2017 Film Independent Project Involve Screenwriting Fellow, FOX’s 2017 HBCU Fellow and a 2018 Humanitas Prize Finalist. Rochée was a staff writer on VH1’s dramedy series, Daytime Divas, and Showtime’s Golden Globe-nominated series, SMILF. • HaJ House & Dahéli Hall are an African American producing team, and comedy writers of Angry Black Women, which won the 2017 Just For Laughs Pro Comedy Prize. Dahéli’s past works, The Memo and Mandingo in a Box. won HBO short film awards. • Chanelle Aponte Pearson is an award-winning writer, director, and producer from the Bronx, New York. Her filmmaking career began as producer for the critically acclaimed feature An Oversimplification of Her Beauty (Sundance Film Festival, 2012). Chanelle most recently produced the award-winning short film Fucked Like a Star, which premiered at BamCinemafest in 2018 and screened at the inaugural Smithsonian National Museum of African American History & Culture Film Festival. She is also executive producer for the HBO series Random Acts of Flyness.